Always good to be reminded how niche your specialist knowledge is. 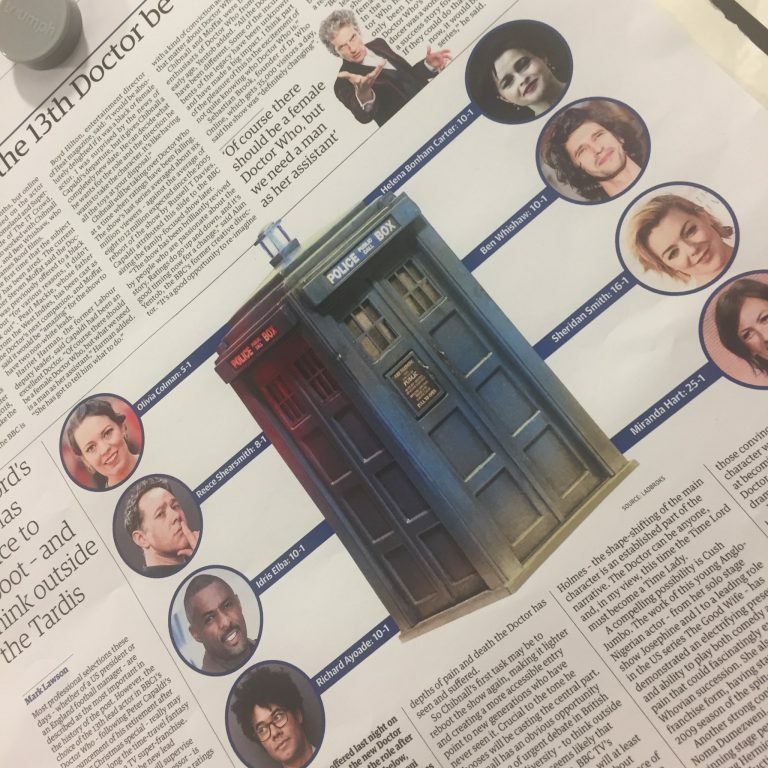 On Wednesday morning in the Guardian we had a spread looking at who might be the next Doctor Who, illustrated with a picture of the TARDIS. 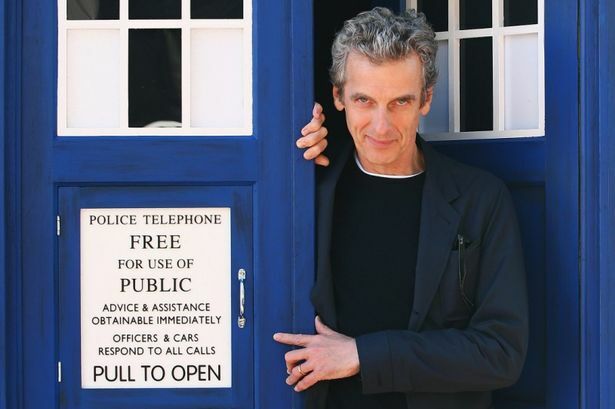 But not Peter Capaldi’s TARDIS. Look at the windows and the sign. Who knows what this version is – but it’s certainly not a picture of any prop I recognise having been used in the show recently.